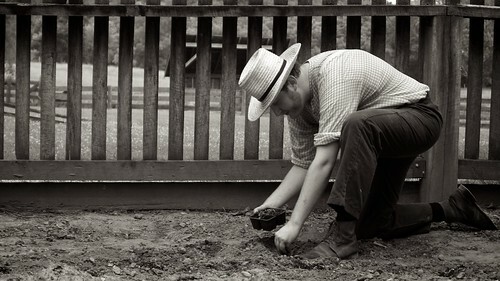 On what proved to be an incredibly hot and sticky day, Chris plants vegetables in the garden at the farm. Tomatoes, cabbage, lettuce, and more. All went in the ground in spite of the uncomfortable humidity. What did I do? I watched and recorded Chris' work of course. It's good to be the photographer.